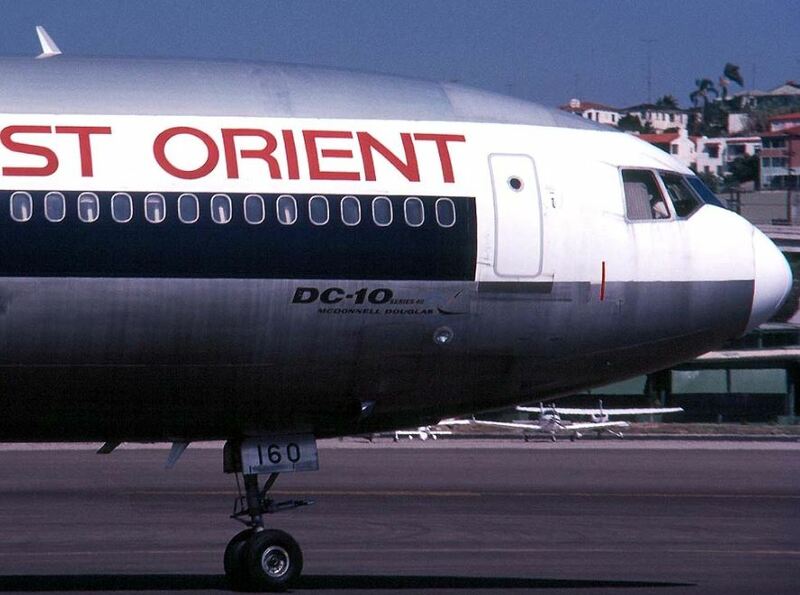 The DC-10 along with the 747 and Tristar, completed the set of iconic first generation widebodies. Initially dogged by crashes (caused by issues with the design of its cargo doors and a series of other accidents not of the airframe's fault) the type gained something of a poor reputation, which it thankfully shook off to become a reliable airliner and the backbone of many major airlines' fleets. Still in intense competition with the rival Lockheed L-1011 Tristar, and later the 747SP, despite outselling both it failed to reach the heights that MDD had hoped for. Production concluded in 1988 with 386 aircraft built for airlines and 60 for for the USAF (as the KC-10 Extender). 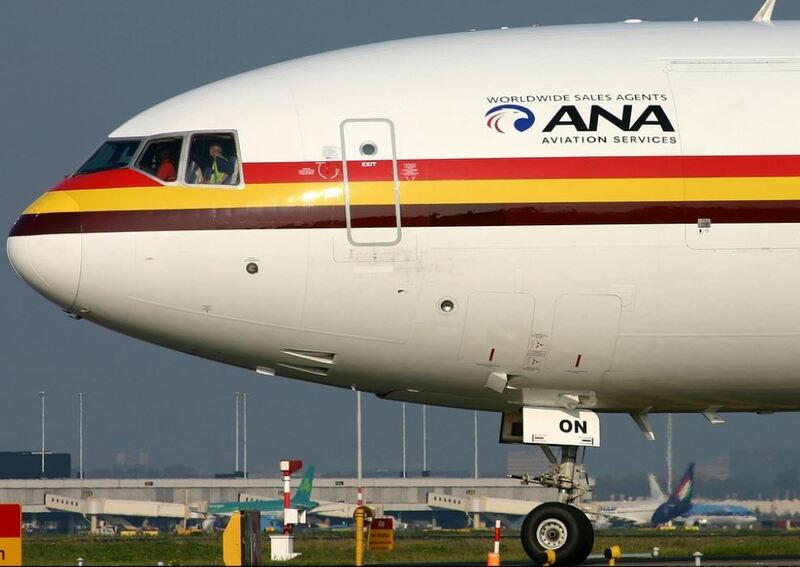 The type went on to serve in the frontline of several majors (Northwest, Continental, JAL and Thai especially) into the 2000s, far longer than its rivals at the time and indeed often longer than its successor the MD-11 (in passenger service at least). The DC-10 came in four primary versions (DC-10-10/15/30/40) but all were quite similar enabling some reuse (and misuse) of similar moulds. Therefore in the following reviews I'll put them all together by manufacturer and split out the sub-types (treating the series 30 as standard) as the general characteristics of the moulds are the same. In actuality the differences between DC-10s are myriad and all the information can be found in David Hingtgen's awesome guide - Ultimate DC-10/MD-11 Guide. So far nobody has tried to produce an accurate early or late CF6-6 exhaust. See the end of this review for a detailed look at each of the manufacturer's exhausts in photos. Again as is often the case Dragon was first on the scene with a mould in this scale and again as was common at the time Dragon shared the mould with Jet-X. It's a good mould, certainly one of Dragon's best and only suffers slightly from competition with later moulds. If there is criticism to be levelled it should be aimed at two areas. Firstly the undercarriage (a perennial failing of Dragon models) is simple and chunky and secondly the nose area isn't quite right. It is ok but is too short at the nosecone and this gives the model a somewhat dumpy looking nose. Having said that Dragon put real effort into their variants - more than anyone else has. DC-10-10/15: The original version of the DC-10 actually has shorter wings than the long range models. 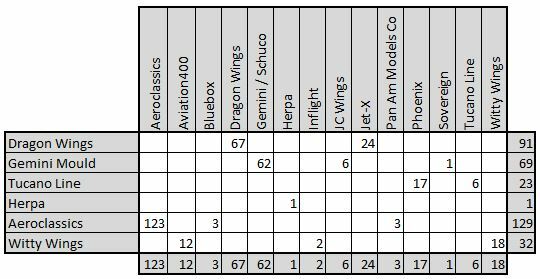 In 1:400 scale the extended wingtips of the later variants amounts to only about 4mm per wing but it is noticeable and only Dragon has bothered with this difference. Top marks! DC-10-40: Until October 2016 Dragon were the only manufacturer to produce an accurate series 40 with the characteristic bulge at the intake of the no 2 engine to accomodate the Pratt & Whitney JT9D. Exhausts: Dragon look like they have produced different moulds for the exhausts with one doubling as the Late CF6-6/CF6-50/JT9D-20 and another representing the early CF6-6/CF6-50. Whilst understandable frankly its a bit of a mess as in the end they've really created two generic engines which don't accurately look like any of the separate real engines exactly. Dragon have gone the distance with the JT9D-59 engine of the Japanese series 40s however, which looks good. To be honest I've replaced my Dragon DC-10s with Aeroclassics, where I can, but that doesn't mean this isn't a great mould and still fits nicely amongst a modern collection. 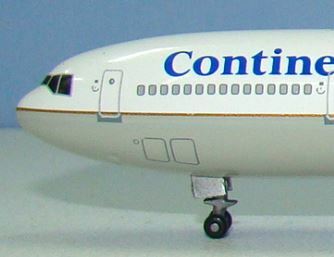 Gemini seem to have been working on their DC-10 since at least 2000 as several sample models have this date in the database, but proper releases didn't appear until 2002. The mould has gone through several iterations with earlier examples having a fairly standard, for the time for Gemini, tail seam (see the Laker and BCal models below). Otherwise the mould is pretty darn good with a better recreation of the nose than on the Dragon in my opinion. The undercarriage on this older mould is again very simple but more detailed than the Dragon, however I've always felt that the nosegear on the Gemini mould is a little odd as it seems to slant forward a bit too much so the tyres aren't underneath the gearbay doors. That is incorrect but it doesn't impact the mould too much. What does sometimes ruin the releases are very large and poorly printed cockpit windows (the Ecuatoriana release is worst). In terms of usage Gemini and Schuco produced a variety of static gears up to 2008, Sovereign used it once and then JC Wings used it in 2012. The mould has had an update with rolling gears but only 1 model has been released, in 2014, a Fed Ex example. 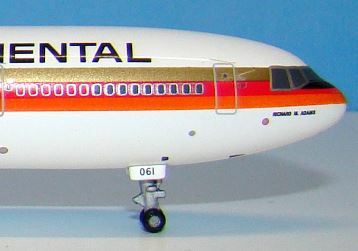 DC-10-10: Gemini never made any attempt to produce a correct DC-10-10. The wings are the same as the series 30 and underneath there is even the spot for the series 30/40 middle gear. In fact it looks like a series 30 without the gear extended - which they did do sometimes when not fully loaded. Its understandable but a bit lazy for the 13 DC-10-10 releases. DC-10-40: Now if ignoring the series 10s differences is forgiveable less so is ignoring the obvious mid engine bulge of a series 40. Gemini never went there but JC Wings unwisely did with a pair of JALs which use the incorrect series 30 engine nacelle. Poor show. Exhausts: Gemini have followed Dragons lead and apparently done the same thing i.e. produced different moulds for the exhausts with one doubling as the late CF6-6/CF6-50 and another representing the early CF6-6/CF6-50. The results are the same - not impressive especially with the two piece bit directly above the nozzle, which simply isn't on the real plane. Oddly JC Wings seem to have gone to the trouble to make an accurate exhaust for the JT9D-59 of their Japanese examples, which begs the question what went wrong with the front of the intake? Honestly I've never owned one of these so I can only pass judgement based on photos, however in general it appears inferior to the Dragon and Gemini moulds of similar vintage. There's a more obvious wing seam than on the Gemini, the nosegear legs have a triangular shape on the front and back, the wing engine pylons are an odd shape, I'm not convinced by the nose, there are deep lines on the tail and most glaringly the no 2 engine is a straight edged tube, not taking into account the curvy shape of the real thing. With four other serviceable DC-10 moulds out there I wouldn't waste my money on buying this one. Witty Wings created their DC-10 in 2007 using the Aviation 400 brand and subsequently released more under Inflight 400 and Witty Wings brands. I don't own any but this mould deserves more attention than the Phoenix one does. The most obvious thing about the mould is its height. The undercarriage legs are just too long, though they are nicely detailed and have rolling gears. The nosecone also seems a little too rounded to me - a bit like the Dragon. These things aren't the end of the world but they are not ideal. On the positive side the rest of the mould is very good and the shape of the no2 engine very nicely done. There is also better detailing on the wing engines than on the Aeroclassics model. Witty are out of business nowadays and this mould likely gone forever but this mould is still ok - on par with the Dragon I'd say. Having said that most of the models Witty made have been done by Aeroclassics and a direct comparison of the two suggests to me the latter is superior. DC-10-10 & 40: Witty only made series 30s so they never had to contend with the differences of the other versions. Exhausts: Witty made both early and late model CF6-50 exhausts and they both look excellent far better than the Dragon and Geminis and even perhaps better than the Aeroclassics mould. Aeroclassics can be trusted to produce high quality moulds most of the time and then actually use them often. This is the case with their DC-10, which is a lovely mould. I own 35 of them and it's my go to DC-10 mould, but that doesn't necessarily mean its perfect. For starters the undercarriage, though excellent, is prone to breaking, which is why AC began sending it disconnected from the model in a little plastic bag. That works well for new purchases but can lead to issues with second-hand ones when they are posted. The only other aspect which isn't great is the no 2 engine, which lacks enough curve on the underside and sides. This one portion of the model is inferior to the Gemini, Witty and Dragon moulds. Overall though this is still the best DC-10 mould and one of my favs. DC-10-10: AC only started making series 10s in 2013 and hasn't made many. They have reused the series 30 mould so the wings aren't the correct width. As with the Gemini its forgiveable though admittedly not ideal. At least on the Aeroclassics version there is no hole for the mid-fuselage gear the series 10 lacks like there is on the Gemini. 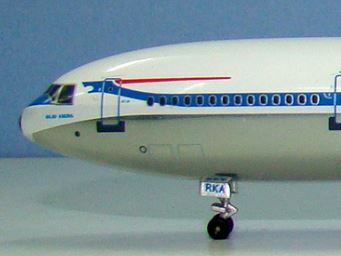 DC-10-40: The first AC series 40 wasn't released until October 2016 and the 4 models made so far all represent Japanese aircraft. Thankfully AC has made a proper no 2 engine nacelle and it looks great. Exhausts: Aeroclassics has done the same as Dragon and Gemini for its series 10 and 30 engines, but at least it has done a decent job. Most importantly the fin extension above the exhaust is properly shaped and one piece. It looks much better than the Dragon and Gemini exhausts. The recent Japanese series 40s also have the proper JT9D-59 exhausts too but it remains to be seen what AC does with any future Northwest releases. Hopefully they won't do what Dragon did and reuse the series 30 exhausts. All four moulds below look pretty good but the Gemini and Aeroclassics for me produce the most successful realisation of the nose whilst the Aeroclassics has the best nosegear. 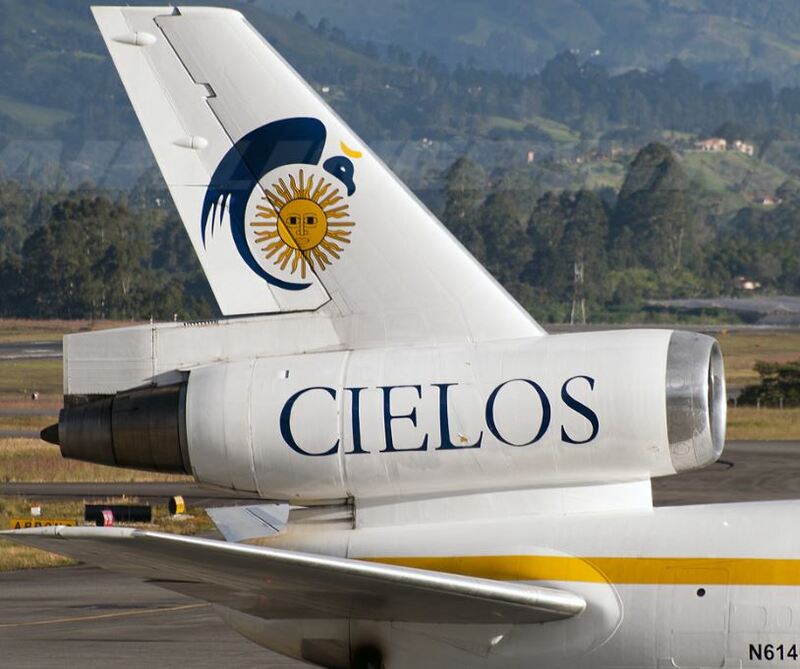 The Cielos is an early CF6-50 DC-10-30 whilst the United is a late CF6-50 DC-10-30. Note the UA DC-10 also has the later add-on extensions at join of vertical stabiliser to engine and horizontal stabilisers to fuselage. Nopbody has done these add-ons in 1/400. The Witty Wings mould has the best tail shape both in terms of exhausts and nacelles (look at the curve under the engine). The Dragon and Gemini have decent nacelles whilst the Aeroclassics has the 2nd best exhausts.